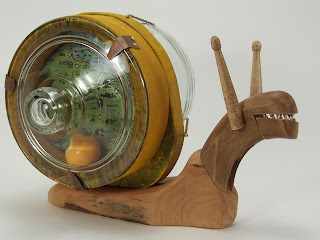 I have never made a snail before. It’s not that I don’t appreciate the architecture of a snail, or its ability to carry it’s own shelter. It was just never on my radar until my wife suggested it as an animal that begins with an “s” for my upcoming solo show at the Felix Kulpa Gallery. I thought it would be hard to infuse a snail with character – my trademark mantra. Let’s face it, a snail has, well, no face. Does it? But I was game, so I began the collection that would become one of my all-time most successful and endearing pieces. “Do we have to part with this one?” I ask my wife. 4. Child's game board of the U.S. Does a snail have teeth? I am not interested in the answer. I love to make teeth for my animals because they add character and some edginess, necessary components that please me as an artist. My aim as a creator of quirky animal sculptures is to represent the essence of that animal. The pieces tell me how they will fit, where they will go. I am the vehicle from which they come into existence – the instrument, not the music. A piece that comes together perfectly sings and takes my breath away. It is so satisfying, but it takes lots of arduous work. The singing from my newly finished snail is loud and joyful. “Should I keep it?” I ask my wife again. 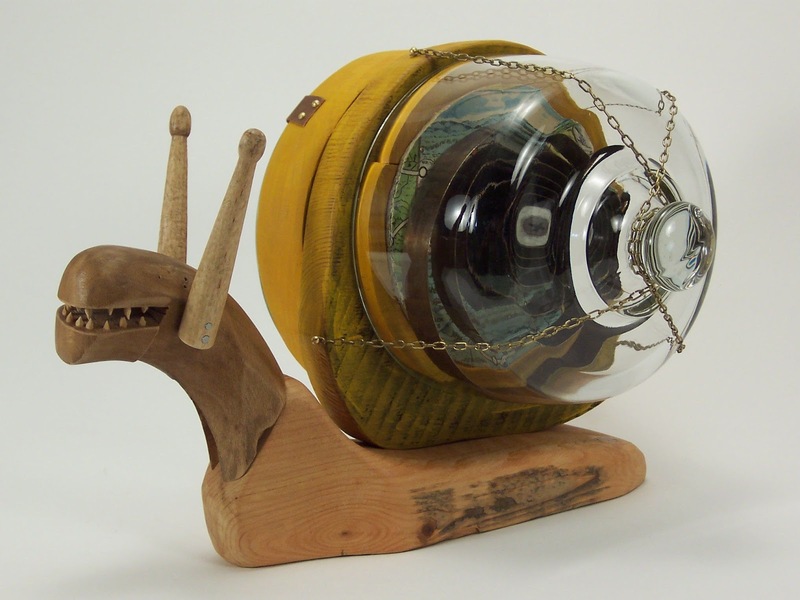 Here’s the two different sides of my finished snail. Come see it in person at the Felix Kulpa Gallery beginning First Friday, July 3rd at 6 pm. Let me know if it sings to you, too!